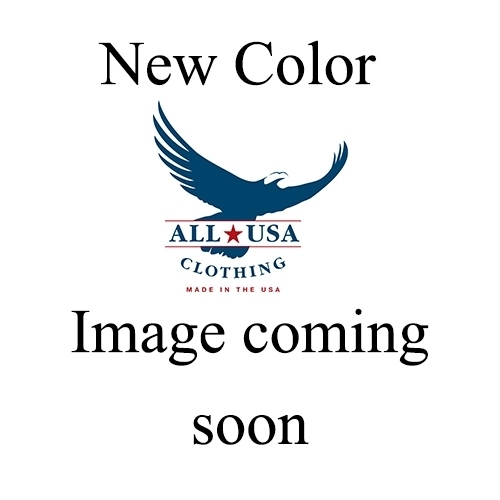 Since 1892, the Weinbrenner Shoe Company has been designing and manufacturing American-made men's dress shoes and work boots. 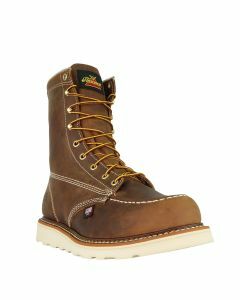 The company introduced the "Thorogood" brand of American-made work boots in 1918, pioneering the concept of work shoes with features incorporated to reflect the wearer's specific occupation. 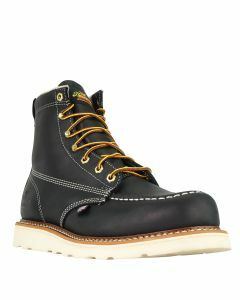 Weinbrenner described these boots as "job-fitted." 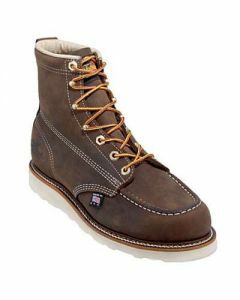 The job-fitted Thorogood brand is considered by many to be one of the best American-made boots available from any source, including higher-priced spin-offs introduced much later by competitors who sought to imitate Weinbrenner's designs. 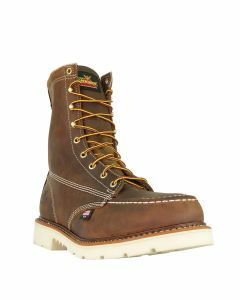 An example of a typical Thorogood job-fitted work boot is the insulated waterproof logger, which features a steel toe, a slip-resistant sole and electrical-shock resistance. 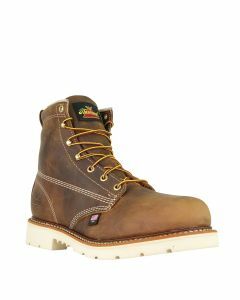 The "Roofer" has a non-marking, slip-resistant sole, a removable shock-absorbing insole and a shorter shank to make crouching and stooping more comfortable. 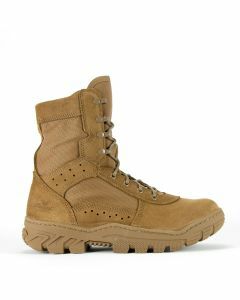 Any of the hiker or sport hiker styles are ideal for those who spend much of their time standing or walking. 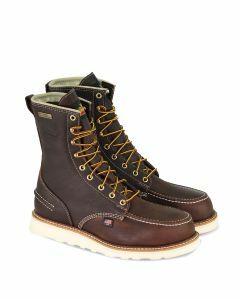 The Thorogood line also includes many other styles of American-made boots and shoes, including oxfords, pull-on Wellingtons and lace-up boots with traditional styling. 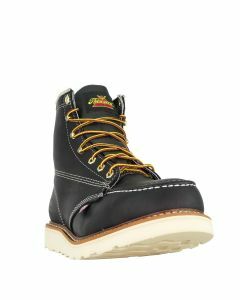 Order your men’s work boots now and learn why so many people trust nothing but the USA-made best for their work boots!